Frogtown created a new OpenCart store with a heavily customized theme. Extensive work was done to the OpenCart code and template to make the site lightning fast for over 10,000 products and counting! Apache and PHP tweaks included to allow the large product listing to be downloaded via and Excel export. 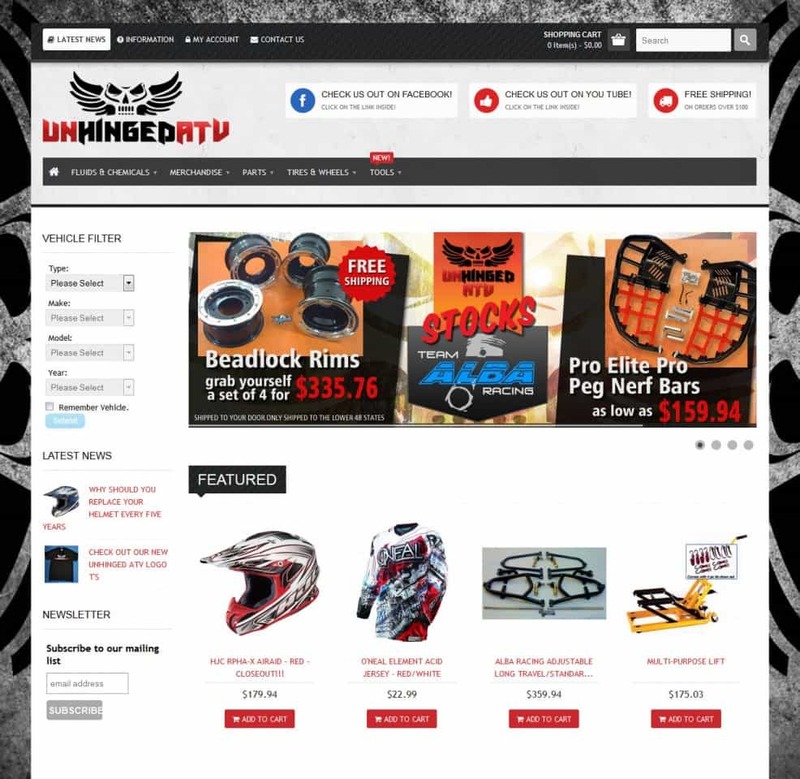 Unhinged ATV sells ATV, UTV, Motorcycle OEM, aftermarket parts and accessories.